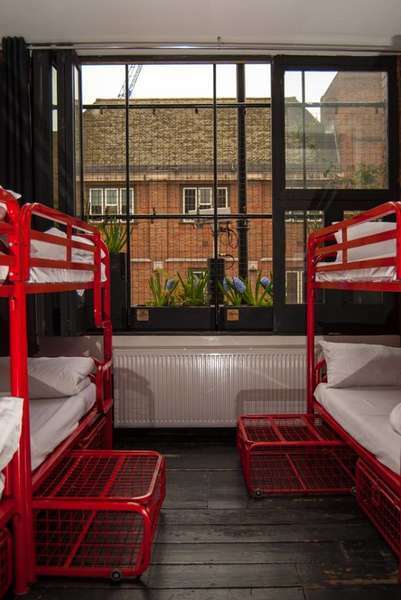 We are the cheapest and quirkiest hostel in East London! 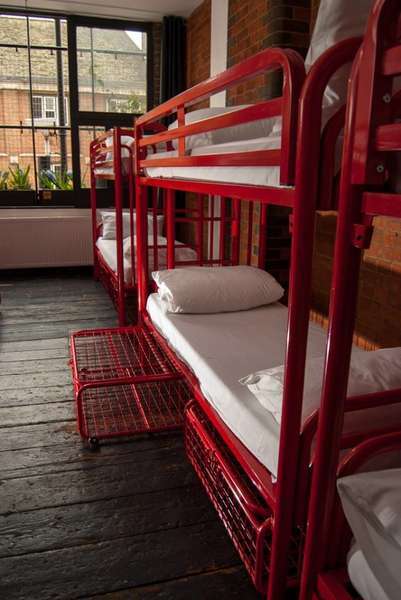 We have 192 beds in the middle of Shoreditch, the centre of London’s hipster and alternative cultures. 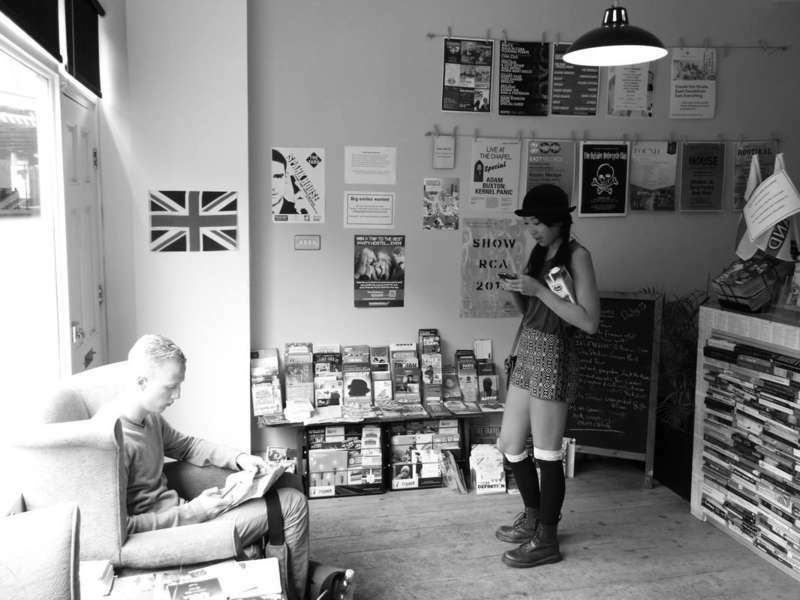 We have created a hostel with character and style unlike any other. We have loads of useful facilities, such as our own laundrette, a bar (with a discount for guests), WiFi and 24-hour reception. However, we’ve also added some fun things to make your stay more memorable: we have table football, swings in some of the rooms, events in the evenings, a bar crawl every night, discounted tickets for many London attractions, a roof terrace and, finally, a pick-up for our East End tour departs from reception at 10:30am every day. Underground – Old Street Station on the Northern Line (black). Take EXIT 2 from the station and carry straight on down Old Street. After two blocks, the road forks. Take the left-hand road and continue for 3 or 4 minutes until you pass under a railway bridge. Turn left onto Kingsland Road and we are on the right-hand side. Look for the sign with the word ‘HOSTEL’. National Rail – Liverpool Street Station. Exit the station and turn left, continuing until bus stop E (opposite Boots and Dirty Dicks pub). Take bus 26, 48, 149, or 242 to Shoreditch Church. Screens will announce the stops. You cannot use cash on London buses – buy a prepaid Oyster card at the station or use a contactless credit/debit card. Overground – Shoreditch High Street Station. Exit the station and turn left onto Bethnal Green Road. Continue left towards the main road (Shoreditch High Street) and turn right. Go straight on until you get to Shoreditch Church (5 minutes). Continue straight on, crossing over the crossroads. Walk another 30 metres and we are on the right. Look for the sign with the word ‘HOSTEL’. Bus – services 8, 26, 35, 47, 48, 55, 67, 78, 135, 149, 205, 242, 243, 388 all stop within a ~5 minute walk of the hostel. Check-in from 14:00. Check-out by 10:00. We cater to the age 18-35 market as a guideline. Please contact us for more info if you fall outside this age range. You must bring the credit/debit card that you booked with, even if you wish to pay the balance in cash. Please remember to bring your valid ID for check-in (passport, EU ID card or UK driving licence are all valid, but student ID cards will not be accepted, sorry!). No-one will be checked-in without their valid ID. We are a hostel for backpackers and tourists - bookings from people resident in London will be accepted at the management’s discretion only. If you are a group of 12 or more, please contact us directly. Cancellations can be made up to 24 hours prior to arrival. Failure to cancel within this time will result in a cancellation charge equal to the first night of the stay. The maximum stay for guests is 14 days. There is a 2 night minimum stay at weekends (Fridays & Saturdays).